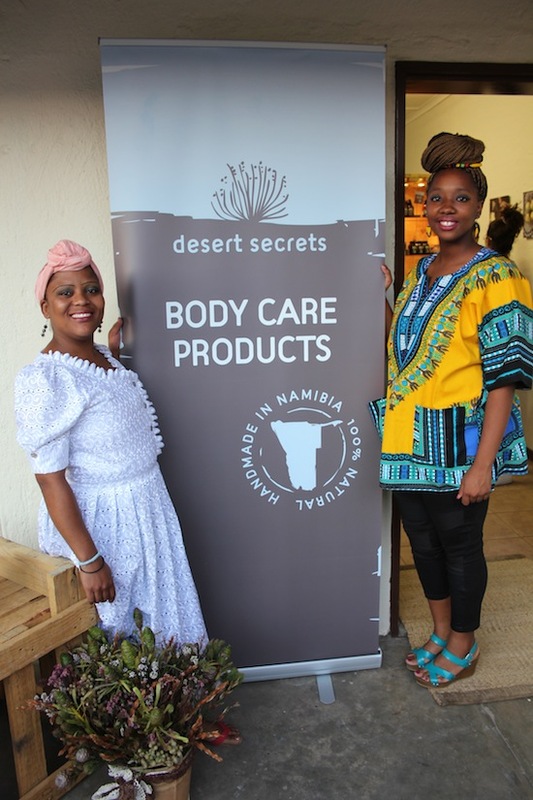 Sophia Snyman, the owner and creator of Desert Secrets cosmetic products, launched an exciting new range of body care products at an event in October 2014. 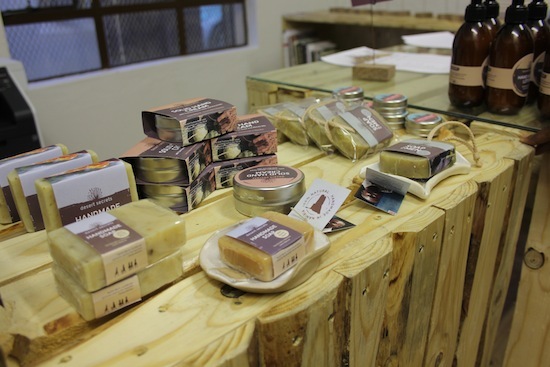 The event served as a fun social gathering for invited guests as well as an exhibition of the new Desert Secrets range and packaging designs. 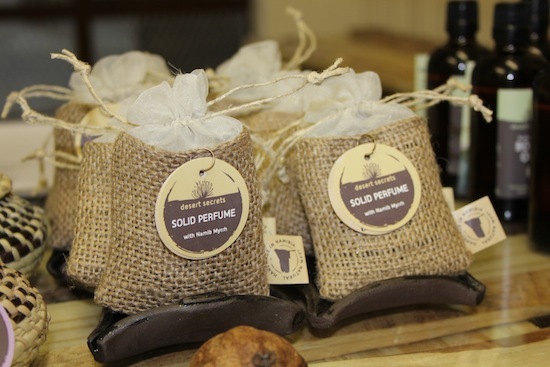 A lifelong passion for Sophia has culminated in a brand that is fast-growing and gaining popularity day by day. Sophia started the venture as a hobby in her kitchen, from where she was soon dispelled to the garage, and has since upgraded to a professional studio where she, and her right-hand woman Magdalena, create their sensory delights. 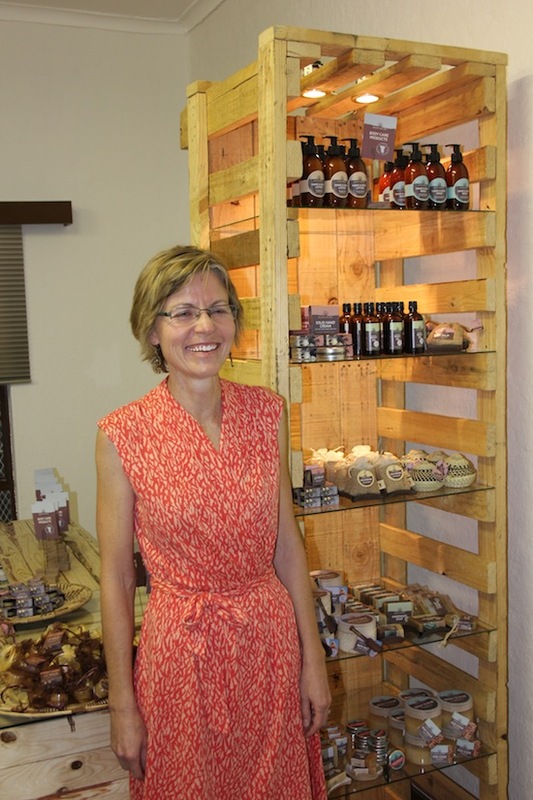 Sophia Snyman – Desert Secrets Cosmetics. 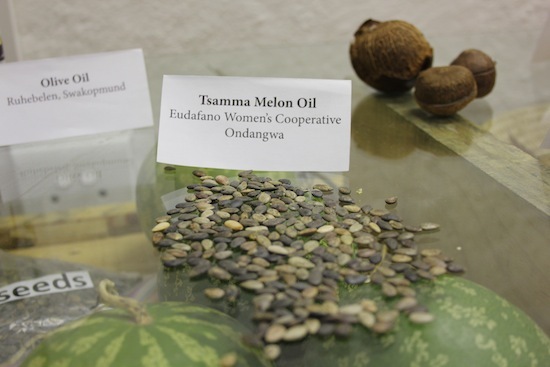 Sophia jokes that her products are just proof of “God’s love manifested in molecules”, and did not for a second contain her gratitude toward everyone that had helped her get where she is today. 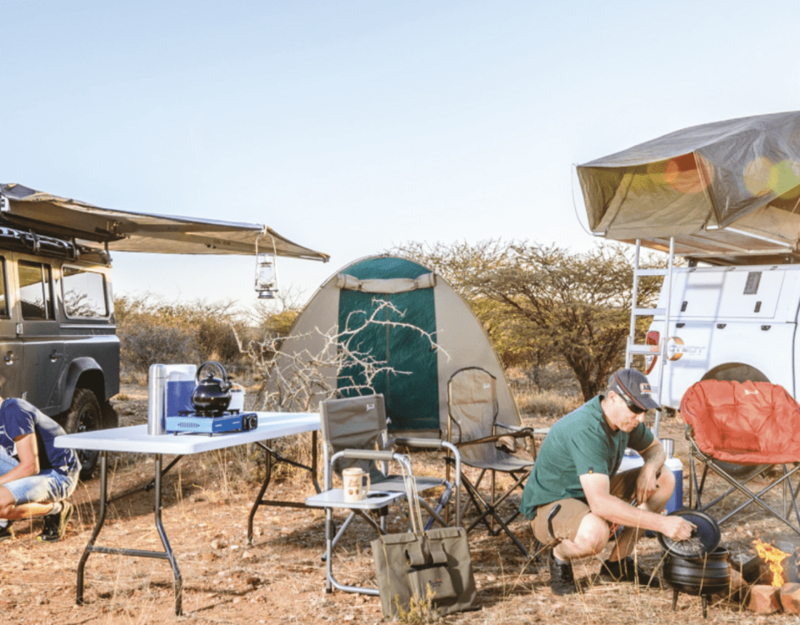 The brand’s new packaging has a fresh, clear and open design and lets consumers in on the secrets of the desert contained within by sharing knowledge and ingredients. 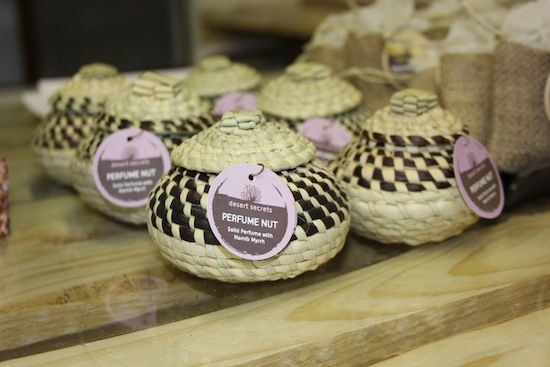 So head over to 1 Parsival street in the Southern Industrial Area of Windhoek, where you will be met by a wide smile and warm greeting from Sophia, to get your fix of her wide range of handmade 100% natural Namibian body care products. 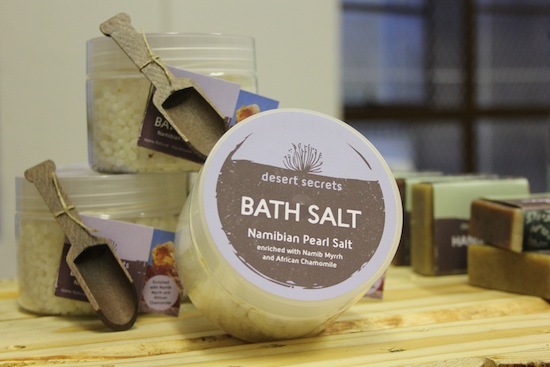 The Desert Secrets range is also for sale at the Namibia Craft Centre in Tal street. Contact Sophia at +264 81 275 5283 or desertsecrets@afol.com.na for more information. Also visit the Desert Secrets Facebook page. My email address will not be published.